May you live in interesting times say the Chinese, and China is providing interesting times for investors today. For much of 2015 the worry of investors was what would happen when the Federal Reserve raised interest rates in the US. However when they finally did this in December it passed without incident, but over the past year the gathering evidence of China’s economic slowdown, and poorly communicated policies by the authorities have proved to be much more troubling for markets. Gavekal made a presentation entitled Four Weddings and a Funeral in which they outlined four big themes that are positive, and one that is negative. The four positive ones were all themes that they emphasised a year ago and which have surpassed expectations. China is the negative theme. While aspects of China’s slowdown are certainly worrying the market seems to be undervaluing the good news that is taking place. 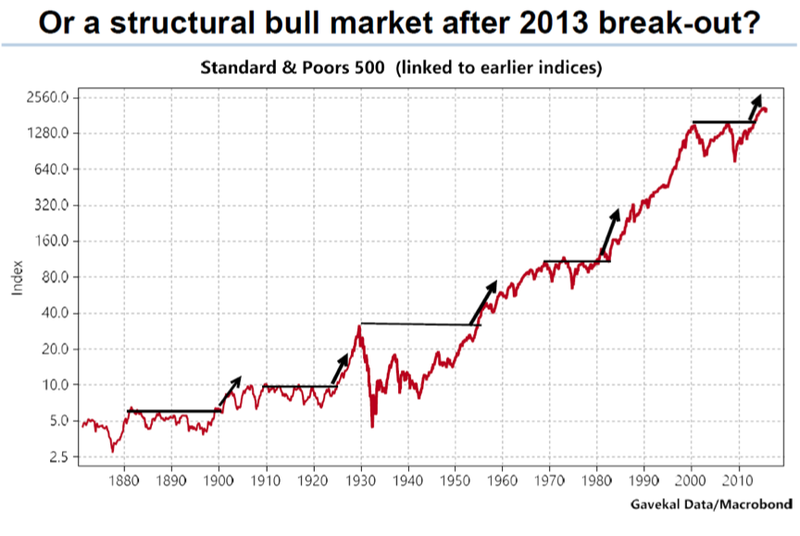 In the end the question for 2016 comes down to deciding whether markets are topping out following the cyclical bounce that has taken place since 2009 after the Great Crisis (Figure 1), or whether markets are on the cusp of a structural break out and investors should be buying equities and increasing exposure (Figure 2). It is worth repeating the four positive arguments. First US employment has been strong for the last few years, and robust jobs data was a consistent feature of 2015. The US is now growing steadily at 2-3%. Moreover this growth has been achieved while the US Government has been making radical cuts in the public sector. The US budget deficit has fallen from 10% to 3%, so the growth engine is the private sector. Growth in the US is better balanced with little sign of either a slowdown or acceleration, so little sign of inflation. Fiscal policy is improved, there is no sign of an excessive build-up of debt, and monetary policy has moderated. The only real threat would be exogenous, and with Europe improving the only credible threat is China. Interest rates are rising but any rise this year of up to 100 basis points should not upset markets. Even a 100 basis point rise would still represent negative interest rates. The Fed is likely to stay behind the curve. Having faced a deflationary bust Central Bankers are determined to make sure deflation is averted. This means there is little threat of monetary tightening, and almost guarantees that interest rates will stay low for the next 2-3 years, all of which is helpful for equities. Second the situation in Europe has improved. Draghi’s QE means a shock in Europe is unlikely. The size of European QE is dramatic. Relative to their respective bond markets the ECB’s QE is five times that of the US. Running at $60bn a month while budget deficits are under 3% the ECB is buying 250% of the net issuance of all European governments. In effect they are monetising and mutualising the outstanding debt stock. This makes it very difficult to see a European Sovereign debt crisis in the next couple of years. The effects of this action are starting to flow into the real economy. Credit conditions are back to pre-crisis levels and consumer confidence is much improved. European growth is unlikely to boom but the outlook is vastly better than anyone foresaw a year ago. Third the oil price has moved further than anticipated year ago. For corporate profits this is wonderful news, except for energy companies. It looks as though $50 may be the ceiling for the oil price now as that is the price that the US shale oil is produced at, and they are the marginal producers. The impact of the lower oil price is likely to be increasingly expansionary as consumers become more confident in the permanence of their improved income. Low oil prices are thus a stimulating not a deflationary force. The fourth positive factor is Japan. The measures that PM Abe introduced are beginning to take hold. After twenty years in the wilderness Japanese growth is creeping higher. More importantly Japanese corporate performance has been the strongest in the world and even though the market has soared all the gains have been matched by earnings, unlike other markets which have been driven chiefly by PE expansion. But concerns about China have hung like a cloud over markets. After gang buster growth for so many years it is not a surprise that the economy is slowing a bit. China’s size now is such that lower growth is still impressive in terms of the GDP it creates. The surprise has been the uncertainty created by the authorities’ communications, and their policy mistakes. Foremost among these were the boom and bust they engineered in the stock market, and the clumsy shift they made in their exchange rate. China is executing an extraordinarily difficult transition from an industrial economy to one based more on consumption and services. Only Japan, Korea and Taiwan have been successful in achieving this in the last few decades. The attempt to make this transition along with trying to liberalise the financial system and avoiding an excessive slowdown are a tricky juggling act, and balls will be dropped from time to time. Perhaps what has worried markets more has been that confidence in the omnipotence of China’s technocracy has been shaken. China has controlled its economy so tightly for the last thirty years that many people believed that the transition would be smooth. It clearly hasn’t been and a sense of muddled decision making has undermined confidence. Investors should have a more realistic idea of China’s challenges now. If China can show it has a stronger grip on the problems and that it remains committed to the reform process then confidence can return. However China risk is undoubtedly the major danger facing world markets in 2016. Ten days into 2016 and markets have fallen hard, and are below where they were at the start of 2014. Given the progress made in so many areas, and the greater clarity in the US and EU, this seems surprising. 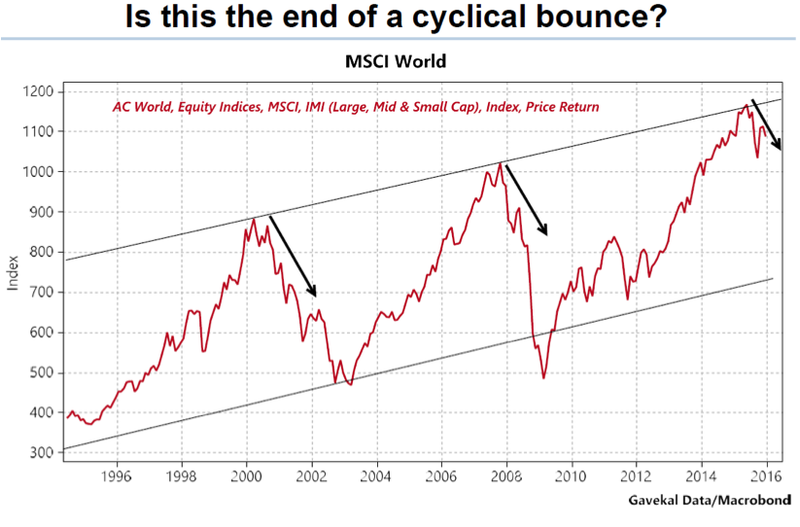 If China calms down then equities should recover swiftly. 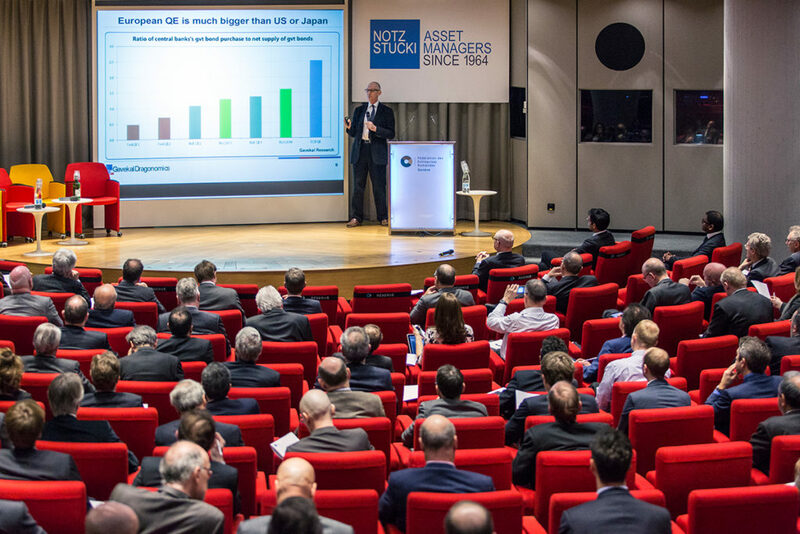 The US market has strongly outperformed so the better opportunities lie in Europe and Japan. It may also be time to rotate out of the dollar which is starting to look expensive. The euro looks cheap as Europe starts to recover, and the yen looks very cheap. Stock picking as always is critical, but the recent sell off is providing opportunities should the key ingredient of confidence return.